One acre Farmhouse / Country Homes in Delhi | Nagpal Builders (India) Pvt Ltd.
Pingback: Real estate bill set to ease home-buying process | Nagpal Builders (India) Pvt Ltd. 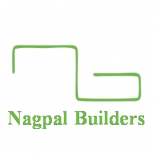 This entry was posted on December 29, 2014 by Nagpal Builders (India) Pvt. Ltd. in Uncategorized.